Home runs, RBI, hits, and batting average: these four statistics along with All-Star Game selections, Most Valuable Player and Gold Glove Awards were the criteria that most BBWAA voters used to judge a player's Hall of Fame candidacy in the late 1990's. 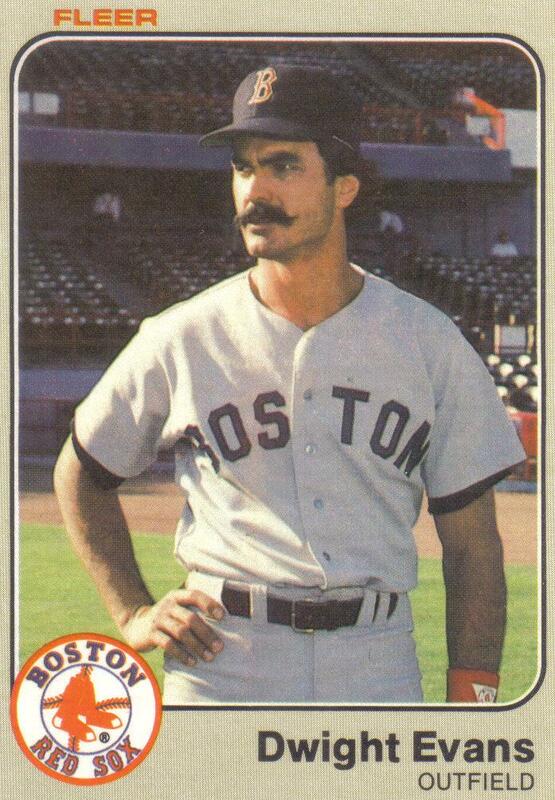 With 385 career home runs, 1,384 RBI, 2,446 hits, and eight Gold Gloves, Dwight Evans had both the hitting and fielding accomplishments to make him a viable Hall of Fame candidate. 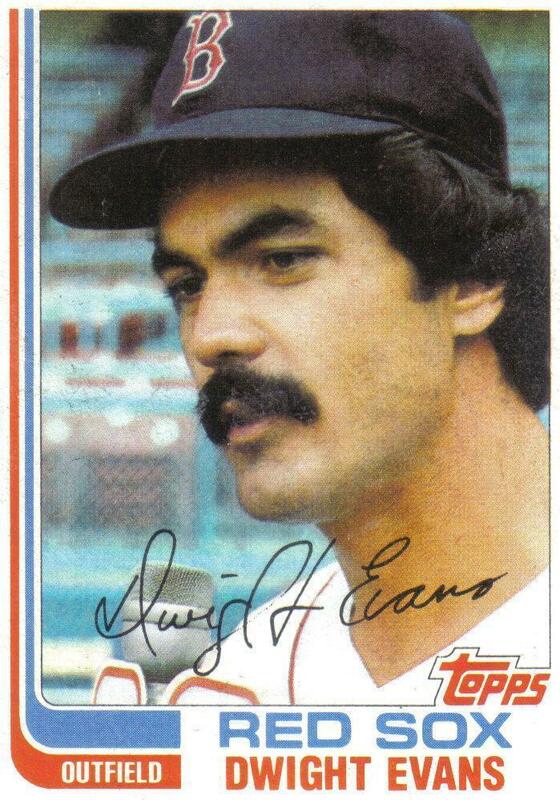 Yet Evans lasted only three years on the BBWAA Hall of Fame ballot, never collecting more 10.4% of the vote. Unfortunately for Evans, too much of a focus on his adequate but unspectacular .272 career batting average, a crowded 1999 ballot, and the presence of a more famous teammate on the ballot each played a part in dooming the former Red Sox slugger's Hall of Fame candidacy. Evans hasn't played in a major league game since 1991, nor has he appeared on the Hall of Fame ballot in over a decade, yet today, more than ever, he is a great candidate for the Hall of Fame. A lot has changed in baseball in the decade plus since "Dewey's" last appearance on the ballot: home run records have been redefined, an era named after steroids has come and seemingly gone, the "Curse of the Bambino" has been put to rest, and BBWAA Hall of Fame voters now view sabermetric statistics such as OBP, WAR, and OPS+ alongside traditional stats like home runs and batting average when evaluating a player's Hall of Fame candidacy. 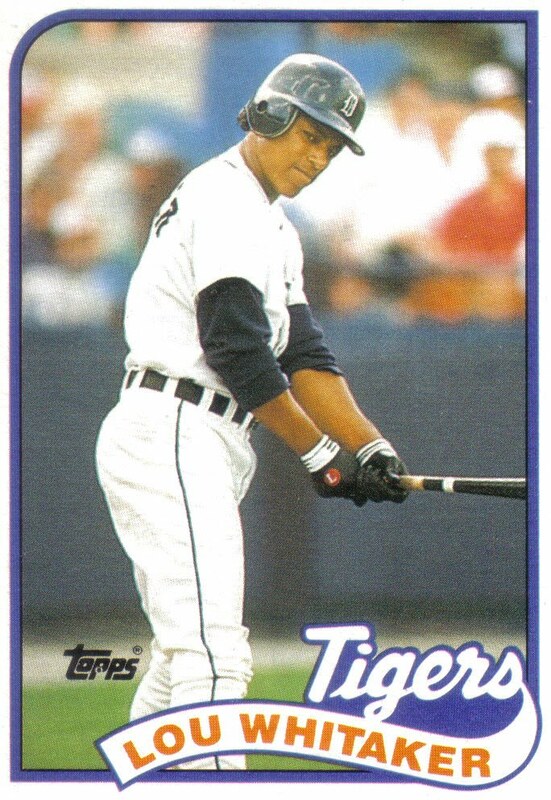 However, in the late '90's, when Evans was on the ballot, most voters based their Hall of Fame selections solely on traditional statistics and other accomplishments such as MVP Awards and All-Star appearances. Criminally underrated and often overlooked in favor of more high-profile teammates, Evans only made three "Midsummer Classics" and despite having several MVP-caliber seasons, he never won a MVP Award. There is no way of knowing how many voters dismissed Evans' candidacy due to his .272 career batting average without recognizing his excellent .370 career OBP, but in his debut on the ballot in 1997, the former Red Sox slugger was only able to pick up 5.9% of the vote--barely above the 5% required to stay on the ballot. By contrast, Dave Parker, a 7-time All-Star, former MVP, and owner of a solid .290 career batting average, also made his debut on the '97 ballot and collected 17.5% of the vote--nearly three times as many votes as Evans--despite his pedestrian .339 career OBP. 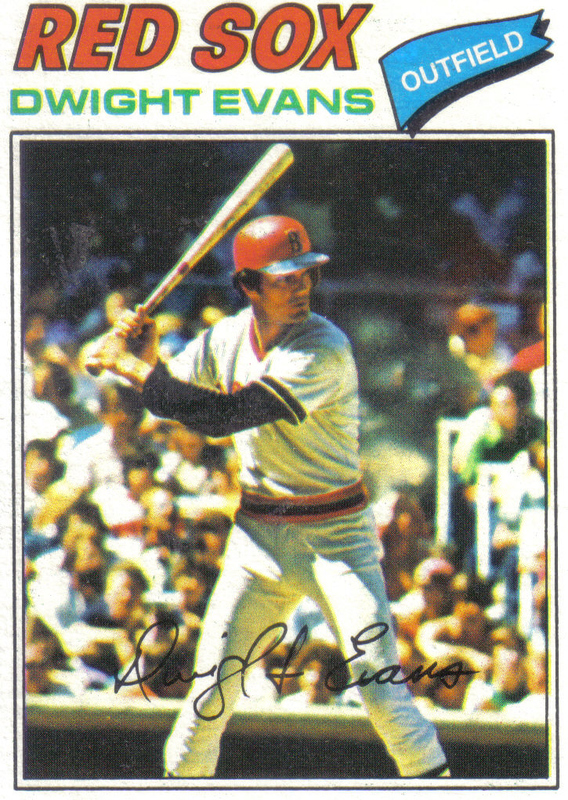 In addition, 10-time All-Star Steve Garvey, another former MVP, with an impressive .294 career batting average but lowly .329 career OBP, tallied 35.3% of the vote on his fifth ballot. One year later, "Dewey's" support increased to 10.4%, on a ballot that featured the debut of future Hall of Famers Gary Carter, who would be elected in 2003, and Bert Blyleven, who would be elected in 2011. 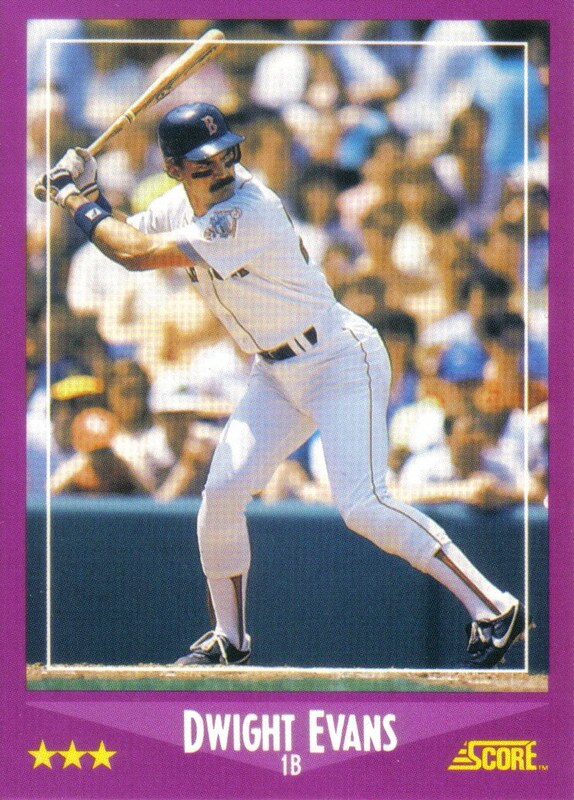 However, just as Evans' candidacy seemed to be picking up steam, it ran into a colossal roadblock in the form of the 1999 ballot which was packed with an incredible group of first-time nominees that included 300-game winner/strikeout king Nolan Ryan, 3,000-hit club members George Brett and Robin Yount, catching legend Carlton Fisk, and 2-time MVP Dale Murphy. Ryan, Brett, and Yount were each elected on their first try, while Fisk just missed out but gained election one year later. Having such a glut of impressive candidates join a ballot that already included several strong holdover candidates was disastrous for Evans whose support tumbled under the minimum 5% to 3.6%, thus ending the former Red Sox slugger's BBWAA Hall of Fame candidacy. Players like Ryan, Brett, and Yount who achieve milestones like 300 wins or 3,000 hits or even a slugger like Mike Schmidt that hits 500 home runs, usually have no trouble making it into Cooperstown on their first ballot. Conversely, a player like Evans whose excellence is not characterized by one of those milestones often starts a slow process of gathering support and increasing votes over the years. Since few voters select the maximum ten nominees, in years with crowded ballots, many voters often take a year off from voting for players whose Hall of Fame candidacy they feel less strongly about. Evans seemed to be an extreme case of this, with his vote total plummeting from 10.4% in 1998 down to 3.6 in 1999. On the same crowded ballot, holdover candidates Gary Carter and Jim Rice each suffered setbacks with Carter slipping from 42.3% in '98 to 33.8 in '99, while Rice's support sank from 42.9 to 29.4. Both were able to rebound the following year with Carter being elected in 2003 while Rice finally got voted in on his fifteenth and final try on the 2009 BBWAA ballot. Bruce Sutter and Bert Blyleven also experienced drops with Sutter slumping from 31.1% in '98 to 24.3 in '99 and Blyleven decreasing from 17.5 to a dangerously low 14.1. However, like Carter and Rice, Sutter and Blyleven's candidacies were able to bounce back from the crowded ballot and eventually gain election. By contrast, former MVPs Steve Garvey and Dave Parker's candidacies were never able to recover from the '99 ballot with Garvey dipping from his '98 total of 41.2% to 30.2 and Parker falling from 24.5 to 16.1. Each continued to draw enough votes to stay on the BBWAA ballot the full fifteen eligible years but neither was ever able to match their 1998 vote total. Another factor that hurt Evans' Hall of Fame candidacy was the presence of former Red Sox teammate Jim Rice on the ballot. For a decade and half, Rice and Evans shared the same outfield, with Rice stationed under the "Green Monster" in left while Evans patrolled Fenway's tricky right side. Immediately recognized for his potent bat, Rice was quickly placed in the middle of the batting order and was an MVP candidate in his first full year during Boston's '75 Pennant run. In their first several seasons as teammates, Rice hit for a high batting average with power and due in part to his spot in the middle of the order, drove in lots of runs while Evans got on base by drawing walks and was usually hit in the latter part of batting order. Rice became arguably the most feared hitter in baseball during this time, while Evans was recognized for his feared throwing arm. Rice was a perennial All-Star and won the 1978 AL MVP while Evans picked up Gold Glove Awards for his work in right field. 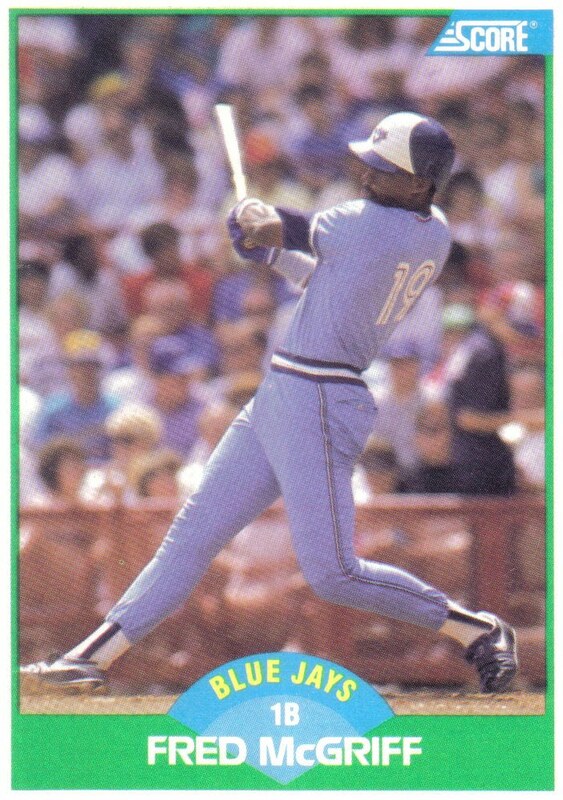 However, during the 1980 All-Star break, mired in a terrible slump, Evans sought the advice of Boston coach Walt Hriniak who changed his batting stance. 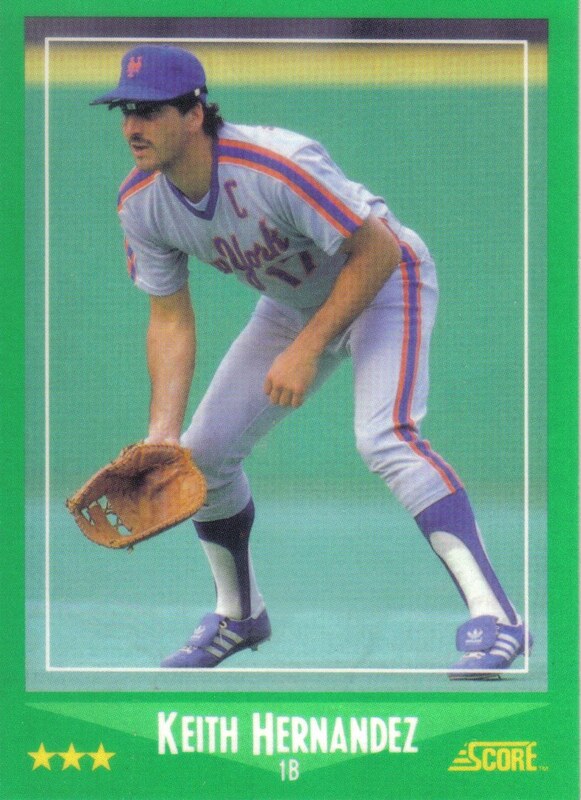 Evans' and Hriniak's hard work paid immediate dividends as "Dewey" transformed into one of the most dominant sluggers of the 1980's. 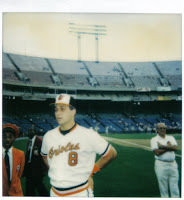 In fact, during the 80's, Evans ranked 4th in all of baseball with 256 home runs, 9th with 1,497 hits, 3rd with 956 runs scored, 4th with 900 RBI, 2nd with 919 walks, and 1st with 605 extra base hits. Despite this, Evans never became the perennial All-Star selection that Rice was and he had the dubious distinction of being one of baseball's most underrated players. When they retired, Rice and Evans actually had very similar career numbers in traditional stats such as home runs (Evans 385-Rice 382), RBI (Rice 1451-Evans 1384), and hits (Rice 2,452-Evans 2,446), with the only big discrepancy being batting average (Rice .298-Evans .272). However, sabermetric stats told a different story with Evans leading his former teammate in career OBP (Evans .370-Rice .352) and WAR (Evans 62.8-Rice 44.3), while being nearly equal to his former teammate in OPS+ (Rice 128-Evans 127). Yet, in 1995, when Rice first appeared on the BBWAA Hall of Fame ballot, he drew 29.8% of the vote compared to Evans' 5.9% debut two years later. It is likely that much of the reason Rice's Hall of Fame candidacy drew so much more support than Evans' was due to Rice's higher career batting average, eight All-Star selections, 1978 MVP Award, and reputation as one of baseball's most feared hitters. 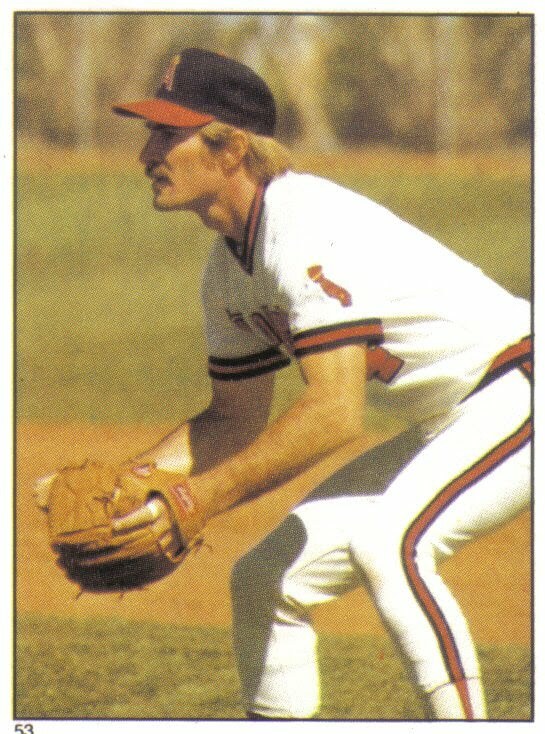 By contrast, Evans was a 3-time All-Star who despite his second half career surge was still more heralded for his feared throwing arm, which helped garner him eight Gold Glove Awards, than his strong bat. Sharing the Hall of Fame ballot with a more famous teammate, whose own candidacy was struggling to gain momentum certainly hindered Evans' candidacy. Had Evans' candidacy been able to weather the storm of the crowded 1999 ballot and collect the required 5% to stay on the ballot, it is likely he would have seen his vote totals soar due to the sabermetric revolution in the years that followed. During the early 2000's walks and OBP finally started to gain attention and within a few years many BBWAA voters viewed them in equal importance to hits and batting average. With 1,384 walks and a spectacular .370 career OBP, "Dewey's" strong performance in these once overlooked stats would no doubt have increased the former Red Sox slugger's vote total. By the end of the decade, WAR and OPS+ found their way into most BBWAA voter's lexicon. With a superb 62.8 career WAR and a solid 127 OPS+, coupled with his outstanding walk and OBP totals, there is a chance that Evans may have picked up enough votes to eventually be elected by the BBWAA Hall of Fame voters. Looking back at the 1999 BBWAA Hall of Fame ballot, one can really see how much baseball statistics have evolved since Evans last appeared on the ballot. Indeed, when you look at more than just traditional stats and include sabermetric and previously overlooked stats, Evans' career matches up very favorably to the other outfielders and first baseman that the former Red Sox slugger shared the '99 ballot with. Moreover, when you compare Evans' OBP, WAR, and OPS+, to the last four right fielders voted into the Hall of Fame by the BBWAA, his .370-62.8-127 OBP, WAR, OPS+ line is on par with the .354-63.4-130 average of the four Hall of Fame right fielders. Of those four Hall of Fame right fielders, three: Tony Gwynn, Dave Winfield, and Reggie Jackson were easily voted into Cooperstown on their first ballot, while the other, Andre Dawson, had to wait nine years before he was elected, mostly due to his inferior .323 career OBP. Yet, even if you omit Dawson and compare Evans to just the three first ballot Hall of Fame right fielders, his .370-62.8-127 line still similar to the three first-ballot Hall of Fame right fielders’ .364-64.4-134 line. As it stands, Evans' only chance at making the Hall of Fame is through the Expansion Era Committee, which will vote in December 2013. The Expansion Era Committee, formerly know as the Veterans Committee, is a 16-member panel most recently made up of seven Hall of Fame players, one Hall of Fame manager, four executives, and four writers. The Expansion Era ballot is comprised of former players, overlooked in BBWAA Hall of Fame voting, who made their biggest contributions in the '70's and 80's and retired no later than 1992. The same Expansion Era ballot also includes former owners, executives, managers, and umpires. The Expansion Era Committee holds elections once every three years. The last time the Committee voted, in December 2010, they elected former General Manager Pat Gillick. The only former player to come even close to the 75% needed for election was former Reds shortstop Dave Concepcion, who carried exactly half of the vote. Unfortunately for Evans, he may face the same obstacle with the Expansion Era Committee that he did with the BBWAA, which may be even slower than the BBWAA to adopt the use of sabermetric stats as the top vote getting hitter, Concepcion, had the lowest OBP, lowest OPS+, and second lowest WAR of the five hitters on the 2010 Expansion Era ballot. Another obstacle "Dewey" could face similar to the one that hurt him on 1999 BBWAA ballot is that the 2013 Expansion Era ballot will be crowded with three excellent new candidates: Joe Torre, Tony LaRussa, and Bobby Cox--arguably three of the greatest managers in baseball history. Crowded ballot or not, when compared to the five hitters on the 2010 Expansion Era ballot, Evans' .370-62.8-127 OBP, WAR, OPS+ line towers over their .342-39.9-114 average. Dropped from the Hall of Fame ballot by a BBWAA voting body yet to be educated in sabermetrics, Evans is the definition of an overlooked Hall of Fame candidate. While some players’ Hall of Fame candidacies seem to wilt under the light of sabermetrics, there are others, such as Evans that have been given new life and are ready to bloom. I've never understood why Dwight Evans is so easily overlooked by even knowlegeable baseball fans (which, by definition, you would hope would include HOF voters). The fact that he was THE most dominant defensive player at his position for virtually his entire career alone should make him a borderline HOF player. Add his well above average stats, and his very good sabermetrics numbers and it's a very strong case indeed.